Please note that while Alison has listed grade levels for these presentations, she is very open to including or having other grades/ages. For instance the “career in the arts” has been presented to grades 8-9 learners, with a wonderful Q&A that demonstrated that their time listening and asking was rewarded. And while the word “picturebook” might indicate primary learners, the ideas are age-free. She is happy to change her approach and language to the audience. While her presentations are well-prepared, they are not “memorized.” Alison is comfortable with her material and adaptive. “Becoming a Writer” or the picture book presentation could be adapted and offered to the public, all-ages, in a library or community setting, too. After a read of the picture book—and some background with a visual presentation—this becomes an interactive presentation, with learners and Alison discussing not only how to actively connect with life around us, but why; what are the benefits of living this way? The world outside us is big and beautiful, and inside us, everyone has stories. Learners should have access to paper and writing utensils (or colouring for K) as they can record their own images and ideas. Together, Alison and the learners will read from the book, and then create new lists, their own lists, and have some fun. They can also use items on the lists to generate stories and poems. On the opening page is a quote from Nelson Mandela’s favourite poem, “I am the captain of my soul.” There can be discussion of this as well as of the sustaining nature of poetry and story, and the transcending nature of lists of hopes and accomplishments. Lists leave a lot of white space on the page—space for pondering and dreaming. It’s not the dense stuff of journal-keeping. It’s room to move and feel free. Alison is open to combining this time with “art” time and creating a class mural-list to post on the wall. Because of the more intimate nature of this presentation, it might be beneficial to the learners to have only one class at a time. Or combine two for the reading and discussion component, and then teachers can follow-up with writing/creating/art time if there isn’t the physical space to do so. How does this happen? How does a childhood dream become reality? Alison was in grade 2 and in love with reading when she decided that the only thing that could be more fun than reading…would be writing! 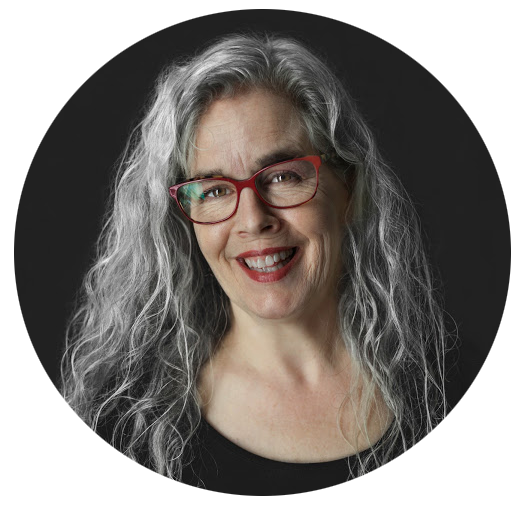 She has published picturebooks, stories for adults, nonfiction, poetry, historical fiction, YA and middle-grade works, including “ghost writing” a Boxcar Children book set at the Calgary Stampede. She has received hundreds of rejection letters, and learned to accept and work with them. She has also kept a journal for decades, and written many stories that had to be written so that she could learn further. It’s been a winding path with detours and now, at this point, hours of delight and quiet reward. Finding your individual path is about listening to one’s self and honouring that process and the frequently surprising answers one hears in that act of listening. This presentation consists of reading bites of various works, and sharing the writer’s path with visual component, and interactive Q&A. Often when young people express an interest in art, it is viewed as a passing interest or hobby. But in Alison’s household, both a writer and musician have filled the family coffers, and now her oldest son has a career in film, and her youngest is a jazz singer. The arts tend to be a green choice as a career, and often mean that one can work from home, have wonderful community, and have lives that are personally fulfilling. She concludes with the learners writing their Wildest Dreams and key words on a slip of paper; even for the learners who do not have “art” as a goal, it’s significant to consider how they’d most like to spend their 40 hours/week in life. Q&A throughout. Alison lives in the East Side of Vancouver, in a little house with a wood stove (which is good for writing on rainy days). She shares the house with her youngest son, who likes to sing—her in-house Sinatra—and she likes to listen to all types of music, and dance, and she plays the saxophone for fun. As a kid, she homeschooled and read books. Piles and piles of books. She tried to stack them high enough to build a house, but it was too hard to make a roof, and where she grew up, it rains too much not to have a roof. Her tenth book—a picturebook, titled A Little House in a Big Place—will be released by Kids Can Press in spring 2019. She has published nine books for young people, from picturebooks to work for teens, and all ages between, fiction as well as a nonfiction piece for Pearson Educational working with mental health for grades 4-6. She has taught in the UBC Creative Writing program off and on since 1998. The germ for A Little House was borne during her trip to Ontario for…yes, Book Week 2012, when she travelled by train between Toronto and the amazing little town of St. Mary’s, an early evening jaunt with golden setting sun and long shadows. So Book Week has a special place in her heart, representing a time of sharing and regeneration.